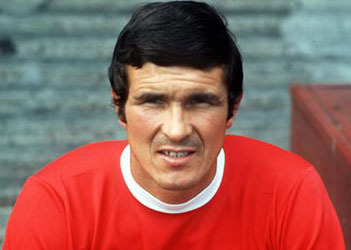 Ron Yeats - Chief scout and Shankly's captain - LFChistory - Stats galore for Liverpool FC! Did Shankly strike you immediately as a remarkable man? It was just meeting him for the first five minutes that persuaded me that he was a good man and Liverpool would be a good club to be with. I can’t believe it when we were coming down the M6, with vice-chairman Sidney Reaks, who had a Rolls Royce at the time, and me and Bill in the back. I was only 23 and didn’t know what to say. Bill just turned round and said: ´Ron, I want you to captain the side. You will be my eyes, my ears and my voice on that pitch.´ I thought to myself, ´bloody hell.´ It’s a big thing at 23, and never ever seen the place. I did that for him, to captain Liverpool, for ten years. It was the best ten years of my career and my life. He was a wonderful man. Everyone has a different opinion of Bill Shankly, but I strongly believe without him coming to our club when he did in the 1959/60 season, you wouldn’t have seen the trophies and the cups we’ve won. Liverpool at this time was falling apart. The stadium was falling apart and the team had been falling apart. They were in the 2nd division for eight years. This man took over and everything just went up the roof. Lovely, lovely man. Yes, but the most successful thing we did and I’ll say this always, was winning the 2nd division. Without that nothing else would have happened, because we couldn’t progress without winning it. It was the best season I remember at Liverpool Football Club. We won it quite easily. He was building a team. We looked a good team and we just built from then on. When I first come to the club in '61 we had one international who was then Ian St John, he had come a month before me. Three years later we had 14 internationals. That’s the progress we were making. We all got caps and the team just went like that. But you didn’t play that many internationals for Scotland? No, I only played two internationals. Scotland had three good centre-backs, lead by Billy McNeill at Celtic who got most of the caps. If you were a Scottish player playing in Scotland, that’s what they wanted. I thought ´Well I am quite willing to get all the medals at Liverpool.. never mind Scotland.´ It was great to play for them. I’ve still got the jerseys, but it didn’t worry me one bit. I always do that! [laughs]. If we score 3, I say we scored 5. It was a good time for us. We were a very confident side. We had drawn Reykjavik. We knew nothing about them. They were part-time players. It was like saying you’re through to the next round. When we went over there, the hospitality was fantastic. They treated us like Gods and it was a pity that we had to put so many goals past their team. When they came here, we put on a little bit of a show. I think when you speak to one or two of their players that they must have enjoyed it. Joe Royle, Man City’s centre forward and later manager said that you were his most difficult opponent. ´Ron Yeats just ran in straight lines [Yeats laughs] and you had to make sure to get out of his way ... Even when the ball was out of play, you just kept on moving to avoid him.´ He is obviously implying you were a tough customer. I was 6ft 2½ inches and 14½ stone, so when I tackled someone he must have felt it. I wasn’t dirty as far as dirty is concerned. I used to make sure I was there or thereabouts. At that time we had these big centre forwards to play against. I always knew if there was going to be a battle I would win the battle. I wouldn’t come second to nobody. I used to enjoy it. It was the small wiry striker I used to hate. He would come at you. You had just to play against anybody who was there. I was hard, but I was fair as well. I never kicked anybody for kicking’s sake, I must admit. I went for the ball all the time. 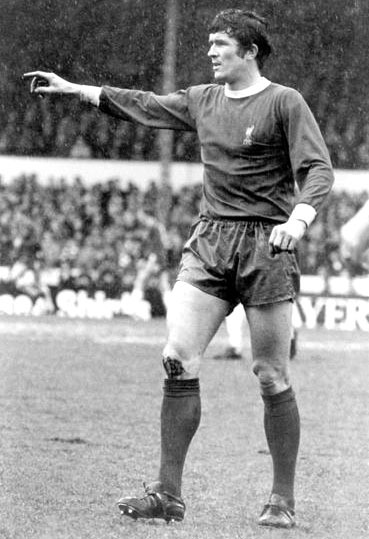 Your partner in the middle of defence was Tommy Smith. I think me and Tommy Smith had seven seasons together. We let the ball go past us, but never the ball and the man. Tommy was hard as nails, but a great player as well. He had a bit of Sami in him, he used the ball very well, a lot better than I did. I was a tackler, a header of the ball and read the game well. I got the ball and gave it to someone who could pass it. I knew my limitations. Tommy knew my strengths, I knew his strengths and weaknesses as well. It must have been memorable for you to be the first Liverpool captain to receive the FA cup? I must admit I wouldn’t have said it was the most memorable game. It was a bloody awful game. The only memorable thing was it was the first time we picked up the FA cup since Liverpool started and I was fortunate to be the captain of the side and pick the cup up from the Queen. I’ll always remember after I had picked it up and was going down the stairs, the first guy I went to on the pitch was Bill Shankly. I said ´Boss this is your cup, because without you we wouldn’t have won any cup.´ He said: ´Ron, I am very proud of you, I am proud of the lads. We will go on to bigger things than this.´ I am wondering to myself ´What’s bigger than winning the FA cup and we won the league the year before.´ He’s talking about Europe then in ’65. Unfortunately for our team, we went to the semi-final of the European cup and the final of the Cup winners without winning it. The team after us won everything, four European cups. But they had learned from us. You learn from team’s mistakes. In the beginning of Europe we used to be gung-ho. We used to go for goals away from home and everything. Now you don’t do that. You stay there and make sure you don’t get goals scored against you. It would have been easy for us because we had a good defence. We let in 14 goals in 3 seasons. I can remember the away tactics, go at them! get a goal, get two goals. We did this at times and it would come off, but sometimes it doesn’t. When it doesn’t come off, you’re out of the competition. You won the 2nd division in 1962, the 1st in 1964, FA cup in 1965 og the league again in 1966. But from 1966 to your exit in 1970, no medals were added. Why did that happen? We were all at the same age when we started so around ‘67 we were all around 30. He started to change the side, changing tactics, changing players, it took maybe three years to come together. When you say we weren’t successful, we were still a top team, maybe always 2nd or 3rd, getting to the semi-final. We continue our interview. Yeats laughs at this story: I must have made the club a lot of money. It happened twice. I guessed right, the second time I guessed wrong [in the 1st round vs. Atletico Bilbao 1968], When I told him I had chosen tails, he said ´Christ, you should have said heads!´ It’s the kind of man he was. ´I don’t know why you picked that!´ [Yeats shakes his head and laughs aloud]. In your job as chief scout you must have played some part in this revolution here? I unfortunately or fortunately haven’t got the last say who Gerard signs or doesn’t. I go see them and recommend them. Alec Miller who was a manager at Aberdeen and Hibernian does all the European tactics and looks at all the European players, thank goodness. I can’t do two jobs. I’ve got 20 scouts in England and have to make sure they do their jobs. Alec looks also at all the European teams we’re playing. A very very technical man who does all the team reports on the opposition. Gerard trusts him. Is there a reason why all the scouts are from Scotland or... [Yeats laughs] Yes, we got three eyes, which you need.